A Christmas Offer to Die For! Last year I had so much fun with my Revenant Christmas promotion, that I’ve decided to amp it up this year. 1. 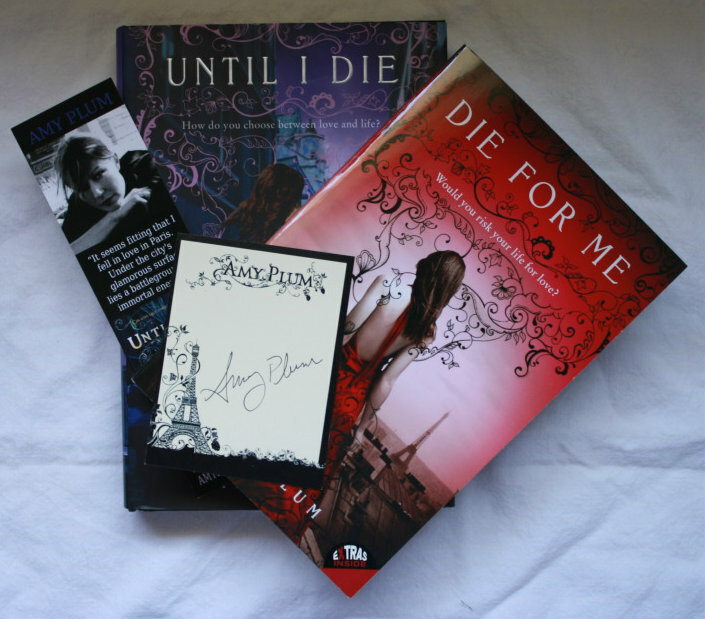 For every copy that you buy of DIE FOR ME, UNTIL I DIE, or IF I SHOULD DIE, I will send you an Amy Plum bookplate that is signed and dedicated to the person of your choice, and mailed from France. 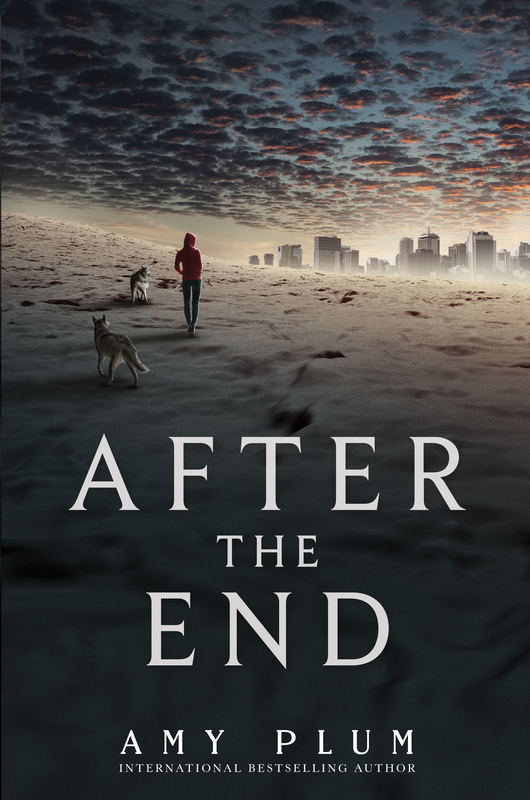 The rules: this can be hardback, paperback or e-Book, but it has to be a first-time buy (not a used book). You can buy anywhere—online or on the street, just scan the receipt and email it to me. This is an international offer, good for any translation of my books in any country. Email your receipt to amy at amyplumbooks dot com. Offer runs from today (Nov. 26) to Dec. 20 (the day before I leave for Detroit for Christmas). And thank you all, in advance, for being enthusiastic enough about my books to want to share them with your friends and family! Five hours left to the Authors for the Philippines auction, which has a ton of amazing lots including the VERY FIRST signed and dedicated ARC of AFTER THE END!! The bidding is currently at £120 = US $193 = Canadian $201. New offer: The bidding is so high that I’m adding signed/dedicated paperbacks of the DIE FOR ME series (3 books) to the winning bid! You can see the auction here!